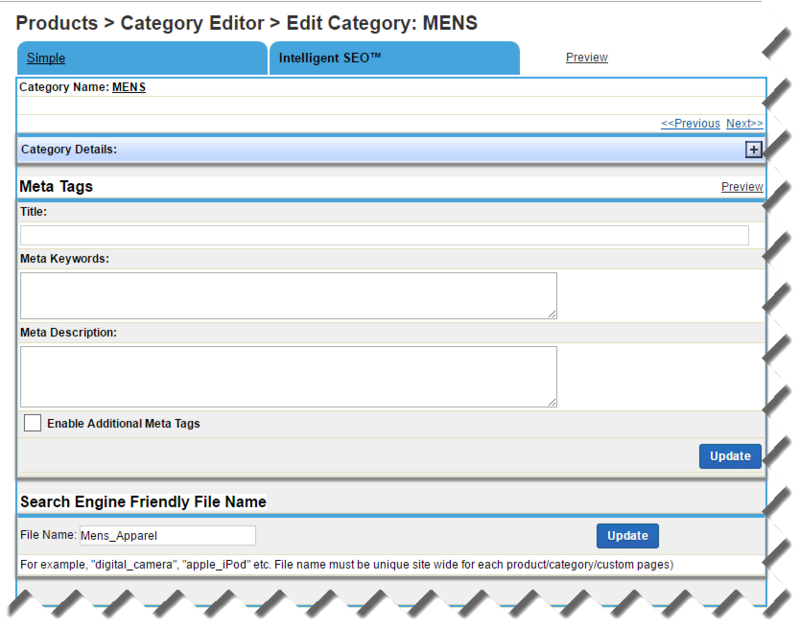 Category pages have individual URLs and can be linked to directly. We recommend you set up a Search Engine Friendly File Name for each category page. You can then link directly to that page URL from your link. Click the Edit link beside the category for which you want to specify a search engine friendly file name. Click the Intelligent SEO™ tab. Scroll down to the Search Engine Friendly File Name section of the page. Enter the search-friendly name of the file in the File Name field. You can now link to the search friendly URL. For the above example, the link would be: http://mydomainname.com/Mens_Apparel.asp.